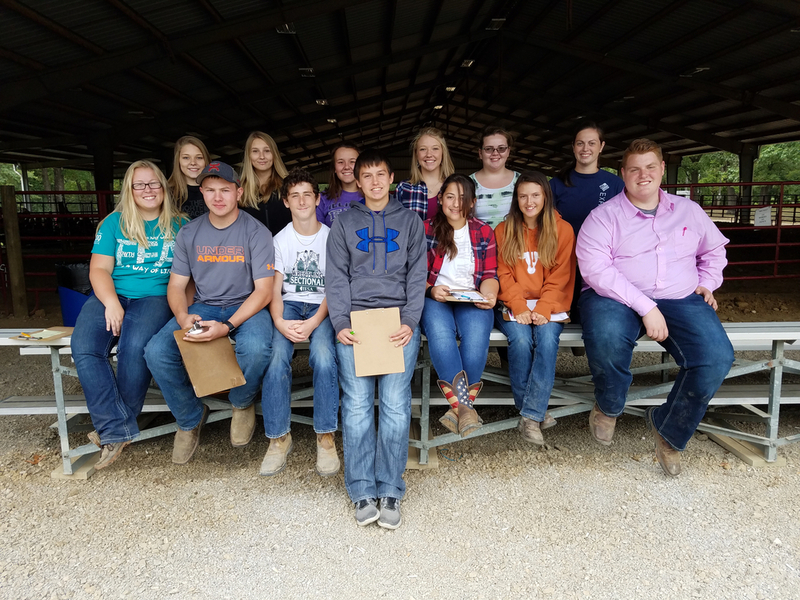 The Shelbyville FFA kicked off the year at the Section 19 Horse Judging Career Development Event September 1, 2017. This year it was held at King City Saddle Club in Mt. Vernon, Illinois. Each member judged four classes consisting of Halter Geldings and Halter Mares. The Shelbyville FFA team placed 3rd overall out of 8 teams. Kendyll Dunaway placed 8th with a score of 181 and Luke Jesgars placed 10th with a score of 179 out of 200 points. Hallie Horsman placed 21st, Tanner Parks placed 26th, Tommy Quick placed 45th, Karson Johnson placed 46th, and Valorie Hoover placed 47th overall individually.